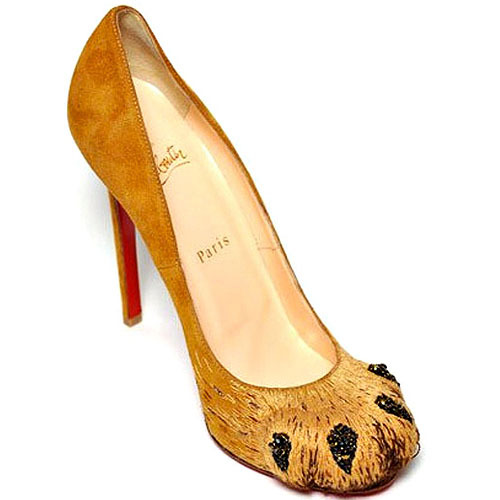 Glamourously eccentric shoe designer Christian Louboutin is bringing new meaning to taking a walk on the wild side with his furry Lion Paw heels. Named the ‘Alex‘, these suede feline fancies are not only seriously strokable but also feature jewel encrusted black talons, injecting some high voltage glamour into those paws. Of course, no pair of Louboutin’s would be complete without a glittering Swarovski crystal studded stiletto heel and signature red sole.